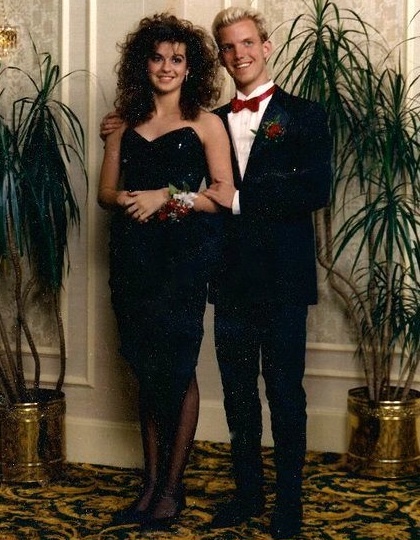 Every June 3rd, I am reminded of being Ryan's date in 1988 at his Senior Prom. When he asked me to his prom, I was only a sixteen year-old sophomore. 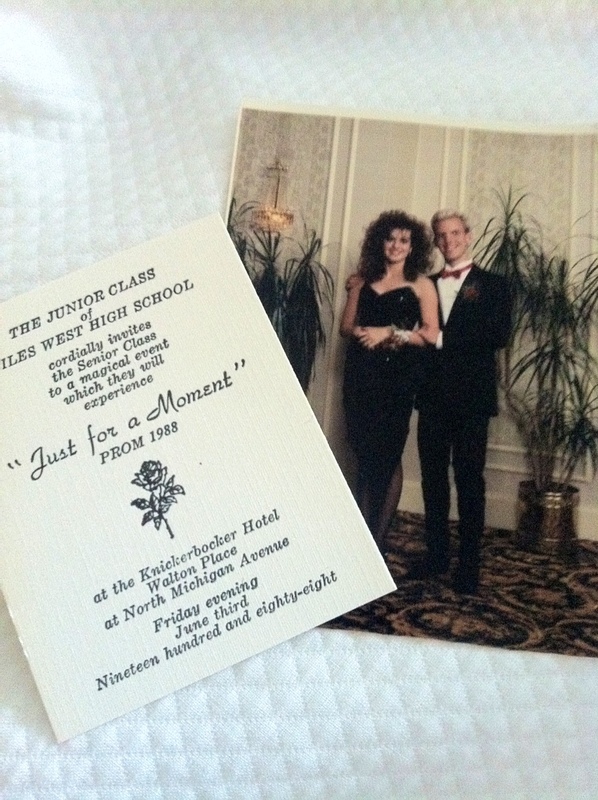 Even though this was not technically my prom, it remains the most special prom I attended, and the moment that defined the following two years of my teenaged life. My father took me dress shopping at Northbrook Court and I fell in love with was a Christian Lacroix "le pouf" dress at Neiman Marcus. The dress was SO ME - young, flirty, flamboyant and unapologetic! It was a strapless, couture dress, in black and pink with an intricate lace bodice and a poufy mini skirt. The dress was made for my (then) 109 pound frame. It fit me perfectly - synching at the waist, with the short skirt crowning my long, skinny legs. The only problem, the dress was over $1000 (in 1988!). My father took one look at me in that dress, his brain did not want to register what his eyes were seeing - his fair-skinned, slender, sixteen year old daughter looked like a haute couture princess. I was the sensible one who decided to move away from the dress, justifying a dress at that price tag was crazy - even for me! We left Neiman's and headed to I. Magnin, which was a "high fashion, luxury goods, speciality store" (according to Wikipedia) in the 80s. That was where I found a short, form-fitting, black taffeta cocktail dress. It was strapless with a sweetheart neckline, embellished with black sequins on the bodice, and a tulip skirt with a high front slit, finished with an exaggerated bow on the hip. It was not Christian LaCroix but it was just right - well, just right for me. That night, my mother set my hair and I did my own make-up. I wore black nylons with a seam up the back (very 1988), I borrowed an evening bag and a pair of my mother's (lower heeled) stilettos - Ryan was only 5'7" and I did not want to be taller than him. Big hair was a must! Ryan arrived at my house in his silver Nissan. He came inside to take some photos (none of which I still have). His hair was freshly cut and dyed white blonde. He was wearing a tuxedo jacket (with tails) and a red cummerbund along with pair of SKIN TIGHT, jet black denim pants (purchased from 99th Floor in Chicago). The black pants that had imprints of black skulls with daggers. As soon as I saw those skulls, it was over for me - I was smitten! He handed me a corsage of red roses and we and headed downtown to the Knickerbocker Hotel with his best friend Greg G. and Greg's date Suzanne C. The night was magical as we mocked our classmates dancing on the illuminated dance floor. 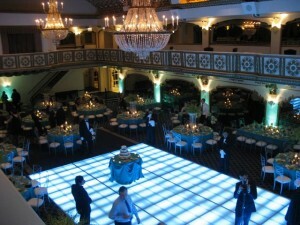 We then headed to dinner at Italian Village and to Six Flags Great America on the following day. 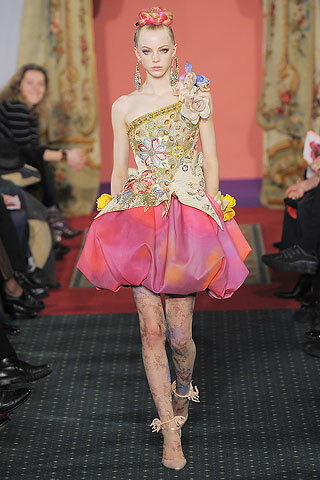 I will leave you with a final image... an homage to the legendary designer - Christian Lacroix!